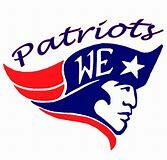 The West Elk Patriots wrapped their season last week against the Sedan Indians unfortunately falling on the road 62 to 8 finishing the year at 1 and 7. Talking with coach Haag on that Sedan team he congratulates coach Holt and the rest of his boys as they are one of the top teams the district as they finish at 7 and 1 on the year and will be a very difficult team to match up against in the postseason. As for the PAtriots, Coach Haag says he is overly proud of the way his boys handled this season. Times where kids could get easily discouraged they kept their heads down and played hard the whole way through. He is very optimistic of next year as well, as the young kids stepping up into those roles for injured player this past season gives them the game experience they’ll need to be a good set of upperclassman. He wants all his guys to know that life will bring more discouraging times and you need to be able to stay positive and optimistic like they have been all year. He wishes the best to the seniors and is already ready for the Patriots to be back on the gridiron.